Tomato sauce (or gravy as my Italian-American family called it) is one of the few sauces I can still eat since my angioplasty and being put on a no-salt, no-sugar, no-fat diet. But making sauce from canned tomatoes can create a product with way too much salt, depending on the tomato brand and variety you buy. 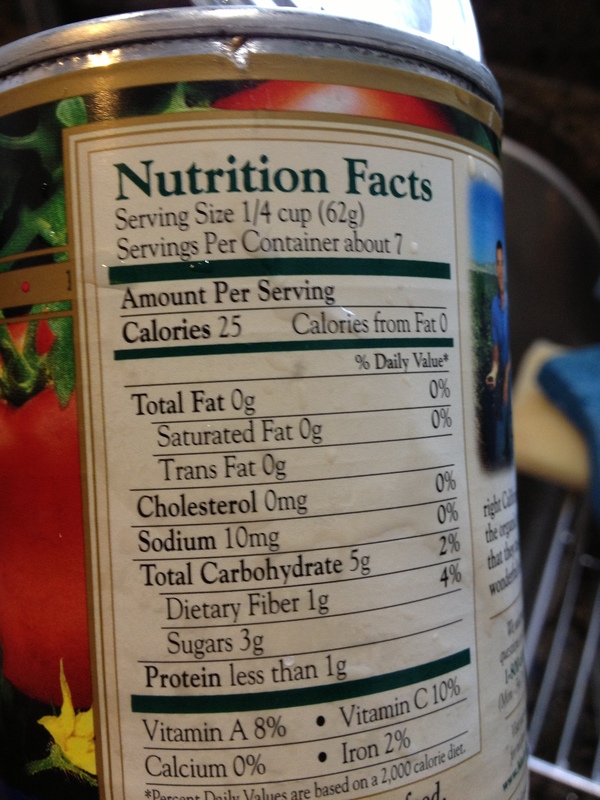 Always check for salt in any canned tomato product you buy. But who has hours to spend making tomato sauce more than on a rare occasion? So I’ve also been searching for prepared tomato sauce with little or no salt. Standard brands in mainstream supermarkets have tons of salt in them. But I found this Muir Glen product that fits my needs in a pinch. You can see on its nutrition label that it has only 10 mgs per serving or 70 mgs for the entire can. The can is enough for a meal for two, or two servings, in my estimation, not the seven servings the can indicates. But even then, half a can and 35 mgs or salt is several hundred mgs less than any mainstream brand. The sauce itself was a bit watery for my taste, but it worked well to use it for baking chicken in tomato sauce and giving some flavor to otherwise dry chicken breasts.